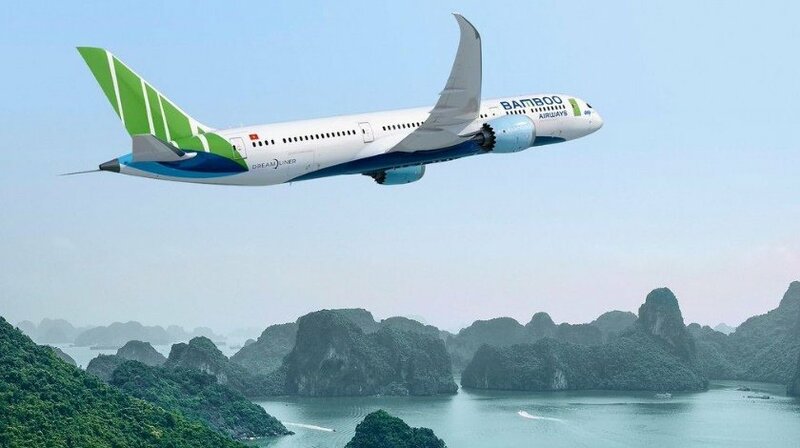 Bamboo Airways, the newest Vietnamese carrier, finally completed its long-delayed maiden flight on 16 January, 2019. The airline has become the fifth airline in Vietnam which will compete with such airlines as Vietnam Airlines, Jetstar Pacific, VietJet, and Vietnam Air Services Co.
Chairman of FLC Group, Trinh Van Quyet, revealed that the airline has “a clear strategy to build Bamboo Airways as a 5-star airline operating both domestic and international routes”. According to the airline, in 2019, Bamboo Airways will operate 20 Airbus A320 aircraft. By 2020, its fleet will be raised with 40 A320 and A321 aircraft and 20 Boeing 787-9 Dreamliners. Towards 2022, in turn, it expects to have 60 A320 and A321 aircraft and 40 Boeing 787-9 planes.